In the annals recent B.C. boys high school basketball history, that quartet was a huge part of the engine room of the 2012-13 Walnut Grove Gators team which beat White Rock Christian in the province’s top-tiered championship final at the LEC. Of course just 12 months prior to their finest hour, Walnut Grove was at its lowest ebb. That’s because in the 2011-12 B.C. final, Terry Fox’s Jesse Crookes had drained one of the most famous shots in our game’s history, a 10-foot jumper with 3.4 seconds remaining which not only gave the Ravens a dramatic 75-74 provincial title win over the Gators, it left a Walnut Grove team chasing its first-ever crown figuratively gutted on the LEC pine. Vernon didn’t fall in quite the same dramatic way earlier this month as those Gators did back in March of 2012, yet its 46-44 loss in B.C. Triple A title tilt earlier this month to North Delta is eerily similar in that these Panthers, like Walnut Grove eight years prior, return such a huge amount of their main rotation. With five of its top six back in rising seniors Zack Smith, Liam Reid, Trent Charlton, Isaiah Ondrik and Kevin Morgan, Vernon is an overwhelming pre-season No. 1 at Triple A, which for the past six seasons and counting has been the second-largest of B.C.’s four tiers. 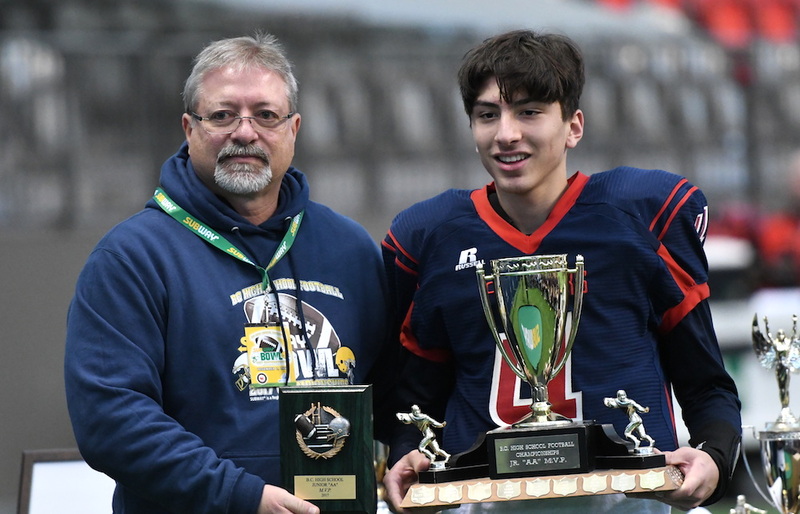 And if you saw just how stoic Vernon players were following their title-game loss to North Delta, it left you convinced of the special maturity within their group, who aside from graduating blue-chip senior forward Thomas Hyett, return in tact this fall for head coach Malcolm Reid. So when it comes to pin-pointing precisely why they are a special group, consider: Several team members not only won both B.C. AA junior and senior varsity football titles prior to his season’s edition of March Madness, they accomplished something which has become extremely rare in a basketball era where almost every program either borrows or calls up on a full-time basis, it’s best junior aged (Grade 9-10) talent. Vernon’s top five returning players, this past season, were all playing their first seasons of senior varsity basketball. 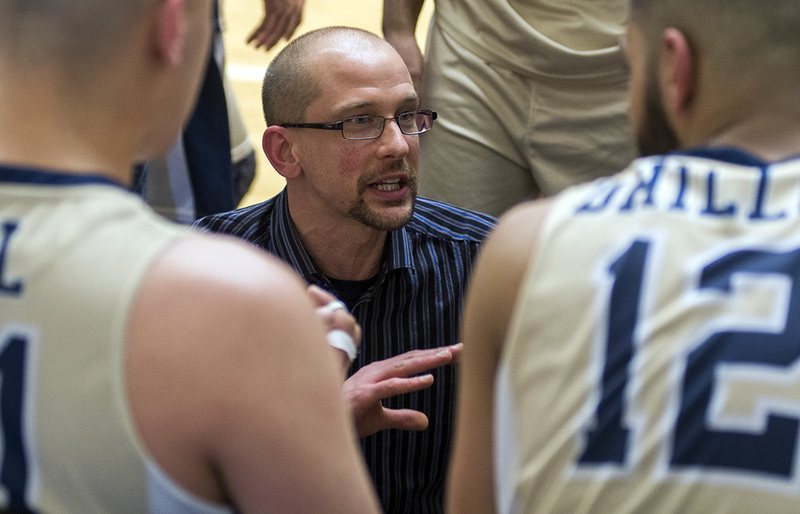 In fact unless you were a hard-core Thompson-Okanagan region hoops fan, or someone who paid close attention to the first few rounds of the 2018 B.C. junior varsity tournament, these Panthers were undoubtedly coming out of nowhere for you. 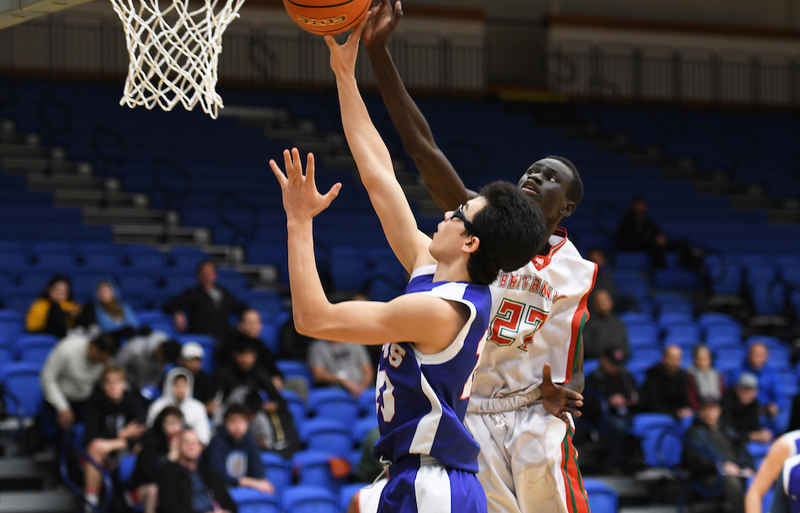 The first sign of their potential was a 62-57 overtime loss to Lord Tweedsmuir in a classic quarterfinal round clash at the 2018 B.C. junior tourney. 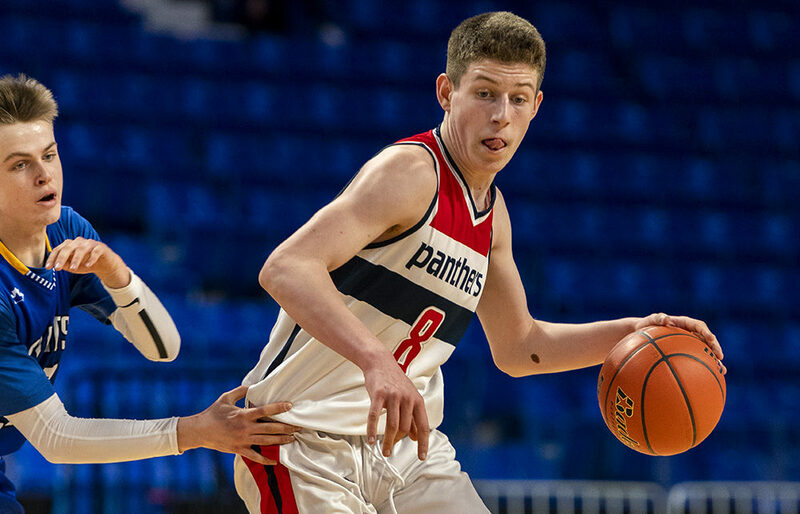 That Lord Tweedsmuir team, which featured then-Grade 10 stars Jackson Corneil, Josh Hamulas and Braeden Reid, went all the way to the finals before losing to St.George’s, then took it a step further earlier this month by beating Kelowna in the B.C. senior Quad A final. Prince George’s No. 2 Duchess Park Condors lose a lot through the graduation of seniors Soren Erricson and Dan Zimmerman, yet they did play a huge portion of their season with Erricson injured. 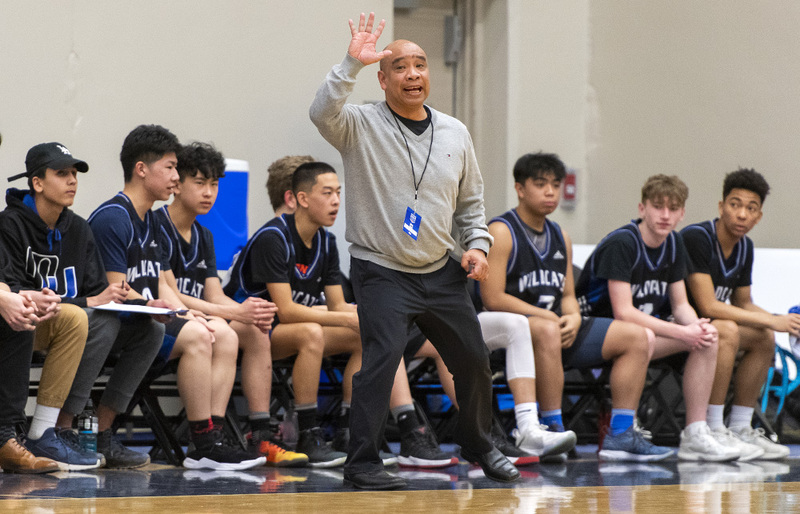 That, along with the continued improvement of rising seniors Jackson Kuc and brothers Tony and Emir Zejnulahovic, and rising Grade 11 guards Caleb Lyons and Tanner Cruz, paint a bright future for head coach Jordan Yu’s squad. Richmond’s No. 3 A.R. 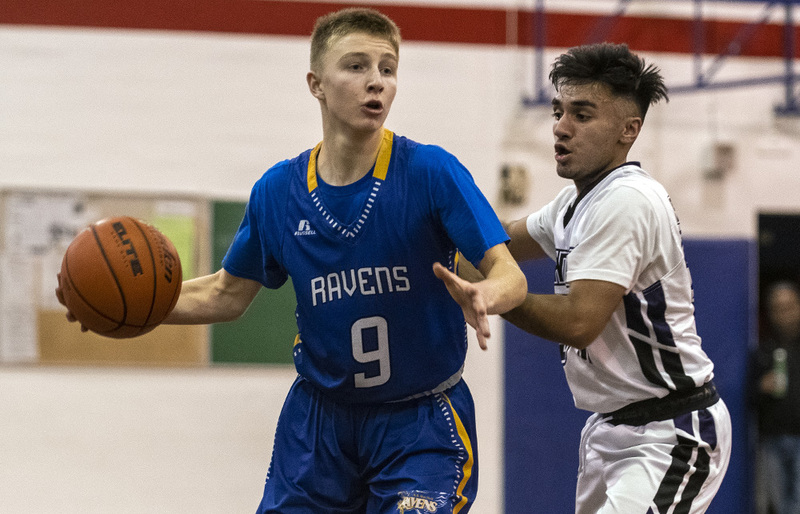 MacNeill Ravens seemed to exemplify what an under-sized team with heart can accomplish, yet despite losing a talented outgoing senior class led by guard Usman Tung, they are program thriving at all levels. Rising 10’s, 11’s and seniors abound for a program which not only finished fourth at senior provincials, but brought a talented team to the JV provincials as well. Chilliwack’s No. 4 G.W. Graham Grizzlies lose high-scoring forward Geevon Janday to graduation, shifting much of their identity to rising twin senior forwards Zachary and Matthias Kilm, 6-foot-8 and 6-foot-7 respectively, as well as guards Jude Hall and Cairo Almarez. A quality group of rising 11’s is led by 6-foot-4 football standout Logan Buchwitz. At No. 5, Richmond’s R.A. McMath Wildcats are hoping the continued maturity of its rising junior varsity players parlays itself into a quality campaign, along much the same lines as what transpired at Vernon this past season. 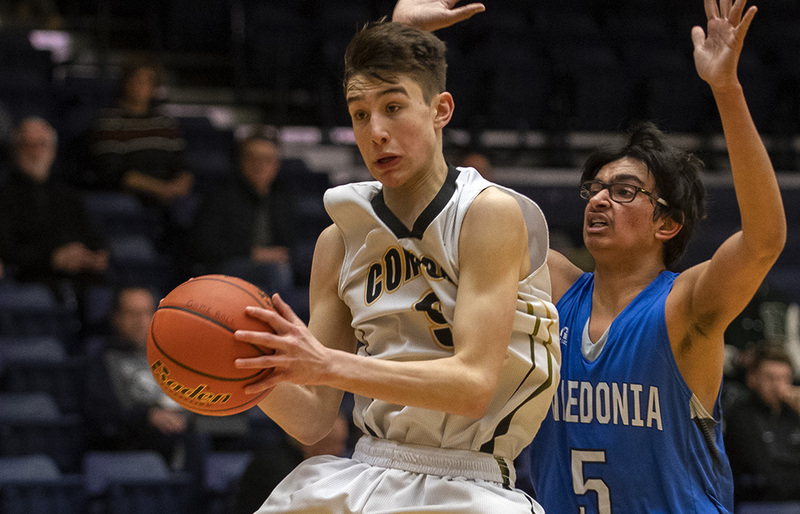 The ‘Cats are coming off a loss to Burnaby South in the B.C. JV final last month, and with large numbers, and a solid core which includes the likes of Rio Hutchful, Travis Hamberger, Mike Kitka, Miguel Vargas and Elias Khan, all 11s’-to-be, the future looks very bright if their skill and energy can transcend their overall lack of height. No. 6 Sir Charles Tupper looked for most of this season past like they had a roster capable of winning it all. 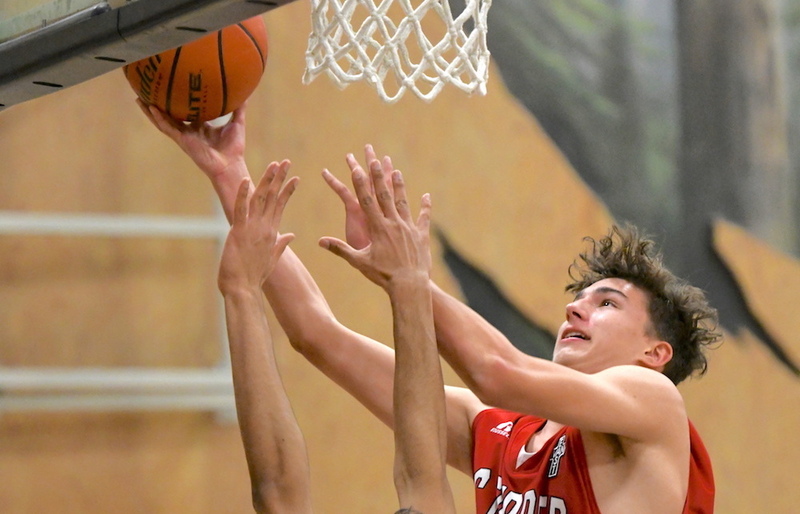 It’s 67-64 Elite Eight loss to North Delta scuttled those ambitions, yet with its two returning bigs in rising senior Matthew Dunkerley and rising Grade 11 Luke Tobias, they have the ability to re-trench. The Tigers’ biggest questions will centre around the depth and productivity of its guard group. Abbotsford’s No. 7 Rick Hansen Hurricanes lose three of their top four scorers to graduation, including double-double man Gurkaran Mangat. Rising Grade 11 guard Jaydan Bains is a talent to watch. With the graduation of standout seniors Bithow Wan and Sufi Ahmed, Burnaby’s No. 8 Byrne Creek Bulldogs start a new chapter with rising Grade 10 Bobby Mabeny, and rising 11’s Mukhtar Afadish and Adam Muhammad. The trio saw extensive action this past season. Kamloops’ No. 9 Sa-Hali Sabres make the move up from Double A with a contingent of 10 rising seniors who finished third in B.C. Among the returnees are 6-foot-7 Jaydian Smith, forward Mitchell Vosper and guard Kaito Futemma. At No. 10, Victoria’s St. Michaels University School Blue Jags, who lost to Sa-Hali 80-55 in Double-A bronze final, also move up a tier. SMUS, who played well above their No. 11 seed in the recent provincial draw, will be led by the play of rising seniors in guard Karter Fry and Noah Helman.